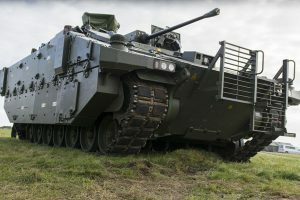 The Ministry of Defence’s (the Department’s) ten year Equipment Plan is not affordable and does not provide a realistic forecast of the costs the Department will have to meet over the next 10 years buying and supporting the equipment it has determined the Armed Forces need, according to today’s report from the National Audit Office. Spending on equipment and associated support in the 2017 Plan is projected to be £179.7 billion, including a £6 billion contingency. But even after assuming the contingency will be used, the NAO has calculated a minimum affordability gap of £4.9 billion. There is an additional potential affordability gap of £15.9 billion if all risks of cost growth materialise and the Department does not achieve any of the savings assumed in the Plan. Overall, the potential affordability gap could be £20.8 billion. The NAO report found that the Department has not included £9.6 billion of forecast costs in the Plan. This variance arose as a result of the Department’s 2017 budget setting process not being able to match costs to available budgets. In addition, the NAO’s review found that the Department has understated forecast costs by at least a further £1.3 billion as the planned cost of buying five Type 31e frigates are not included in the Plan, while the cost of nuclear-related projects continues to grow. The Department is also relying on ambitious savings to help fund the Plan. The Department reports that it has achieved savings of approximately £7.9 billion against an increased savings target of £16 billion, with approximately £8.1 billion still to be achieved by 2027. However, there is a lack of transparency on the full amount of savings included in the Plan and the Department does not have evidence to support all the savings it has claimed to date. The Department has limited flexibility to use other budgets to address the funding shortfall for equipment and support. It was unable to agree a balanced defence budget for 2017-18 and is now managing a significant projected overspend in 2017-18. Our past work has identified an £8.5 billion funding gap for managing the Department’s estate. Also, the Department faces challenges in managing its staff budget.